When a homeowner or a business owner no longer has need of their oil tank, they need oil tank removal services. 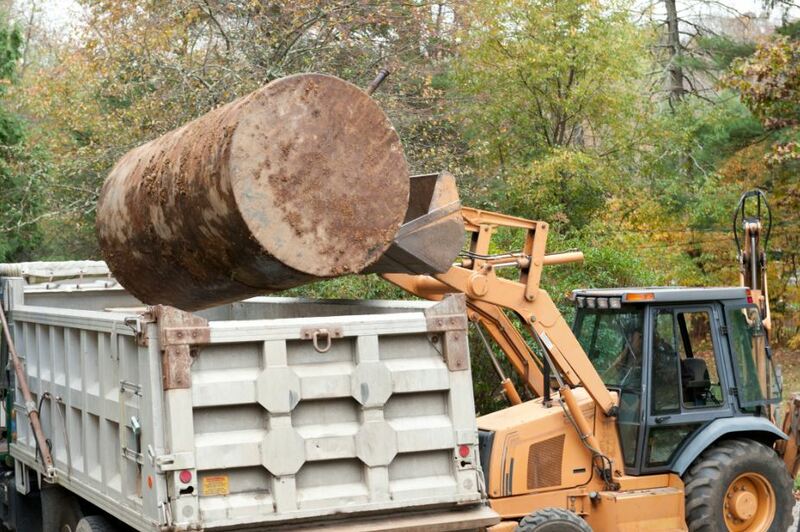 We are company that takes care of oil tank remediation in the New York and Northern New Jersey area. Many buildings are upgraded to central heat, making the oil tank obsolete. Often times, the oil company provider will come out and pump the remaining oil from the tank. Then they will fill it with sand to keep it buried. The problem with this method is that this can still be a hazard to our environment. This old equipment can be the source of contamination to water sources. It is important for your tank to be completely removed rather than leave it in the ground. ​What is Involved in Oil Tank Remediation? 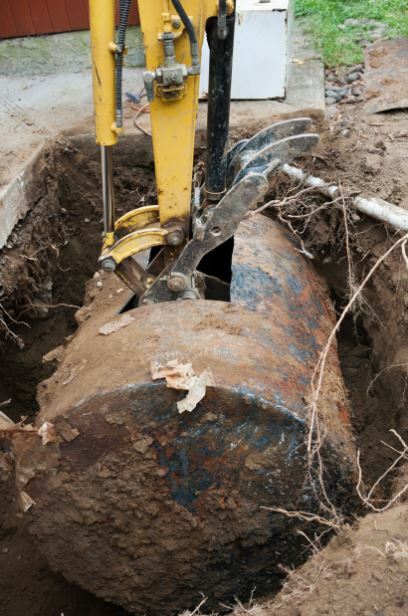 ​When it comes to oil tank remediation, a professional company will come out to your property and determine the proper removal method. An underground tank can either be removed with an excavator or by hand if need be. The team of professionals will evaluate your property and propose the solution. Whether you have an aboveground or underground system, we can assist you. ●Digging up the old oil tank- whichever method is determined to dig the old equipment up will be used. ●Fill in the hole that is left- the company will bring in enough dirt to fill in the hole where the tank was located. The amount of dirt they will need depends on how large the tank is. ●Removal of the old equipment- we will haul off the old tank and dispose of it properly. The crew will make sure that the property is cleaned up afterwards. All of the services that we provide are done with the top of the line equipment. Our team of professionals are highly experienced in the industry and know how to get the job done right. You can feel confident that our team will handle your removal or installation with professionalism. ​Prior to the work that we do, an inspector will come out and evaluate the project. They will put together a proposal of what it will cost to take care of the work. Underground oil tank removal cost will be a different amount than an above ground removal. They will provide you with a fair valuation that is competitive to the other companies in the area. Let us come out and determine the estimated cost for you. When you have the right information, you can make good decisions about your property. If you have need of an oil tank inspection, we can assist you with this. Homeowners and business owners need to have their equipment inspected from time to time to determine if there are any leaks present. When a tank is leaking, it can cause damage to the environment as well as contaminate the water sources around it. Be sure to have our team of professionals perform an inspection on a regular basis. If you have an older system, you will need to have it looked early. Should you be selling your property, an inspection will be necessary. It is better to know of any issues ahead of time so that you can resolve them before putting the property on the market. Before you purchase a piece of property, it is best to determine if there are tanks underground. It is better to have the seller remove these so that you do not have to worry about it later on. Our team can conduct a search of the grounds to determine if there are any abandoned tanks. We will perform soil testing throughout the property to see if there is any evidence of oil. With these types of tests and other factors, we can tell you if there are tanks underground. Since it can be a hazard to the environment to have these pieces of equipment buried, you should have them removed before purchasing. If you do not have the tanks removed, it can fall on you to take care of the cost in the future. Many people prefer oil heat. If you are in need of an oil tank replacement, we can take care of the job for you. Our team of professionals will provide you with a plan and discuss the details of the work with you. If you have an underground tank that needs to be replaced, we will often suggest that you remove it completely. Then you can go to an above ground or basement tank for the sake of convenience as well as safety for the environment. An above ground tank is a good investment, because it will be easier to care for. With the right installation, proper capacity, and other attributes that are necessary, you can expect long life from the new equipment. Underground tanks can pose a problem when it comes to repair. That is why many property owners will remove it and install an above ground unit. If you have need of assistance with oil tank removal, inspection, or installation, we can assist you. Our team serves the New York and Northern New Jersey area. Be sure to contact us today with your questions and needs. We will get someone to your location at a time that is convenient to you. With our professionals, you can expect a job well done every time. Call today! We look forward to serving you.